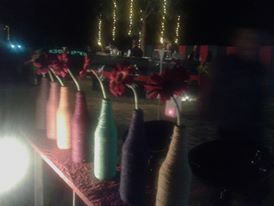 Sometime ago, I was given the responsibility to do up the decor for a cocktail party!! 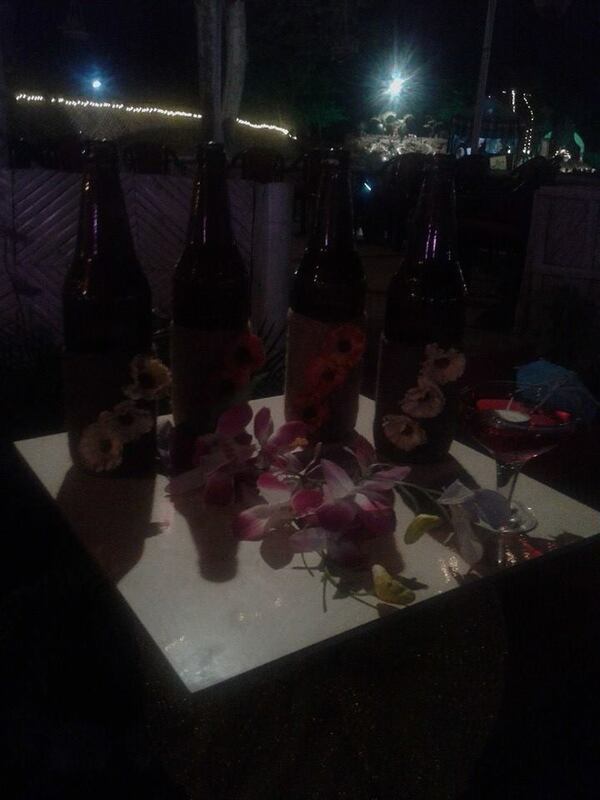 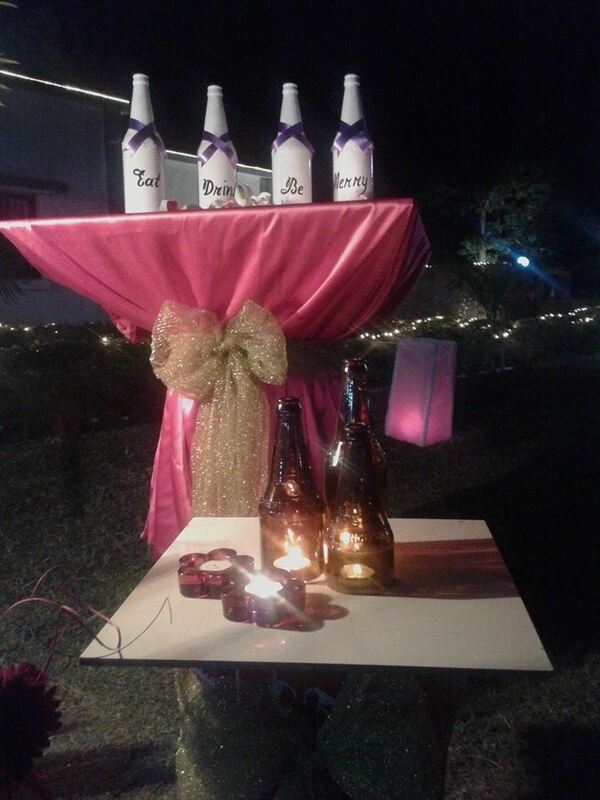 I instantly had a brainwave of using beer bottles in the decor. 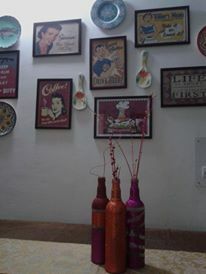 I started off by collecting as many beer bottles as I could and thought of doing up every corner differently. 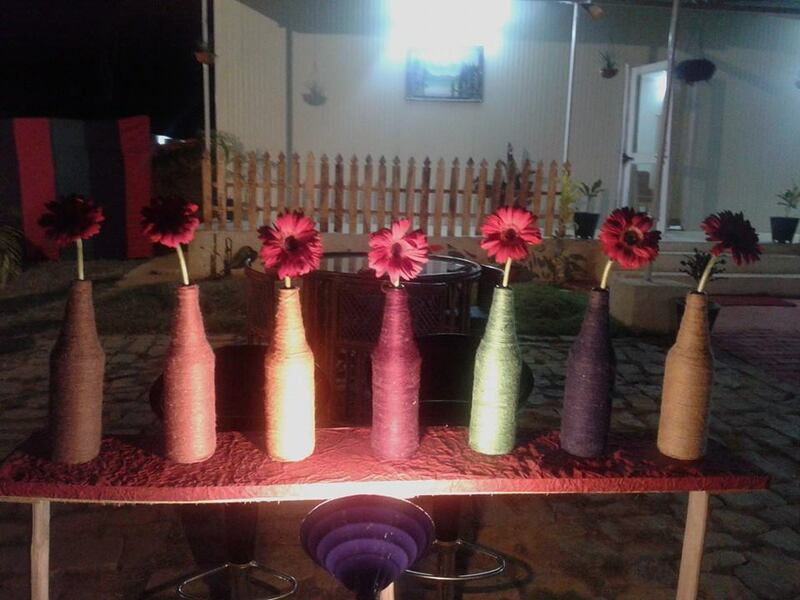 So I used leftover coloured wool to drape some bottles in…and placed them on a stand made of bamboo and the top is made of a thermocol sheet…A single gerbera stick in each and doesn’t it look lovely…? 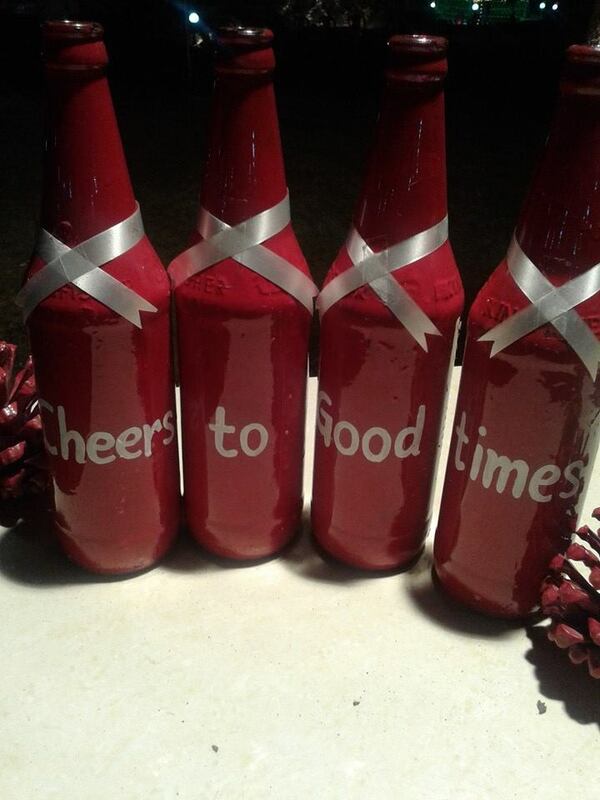 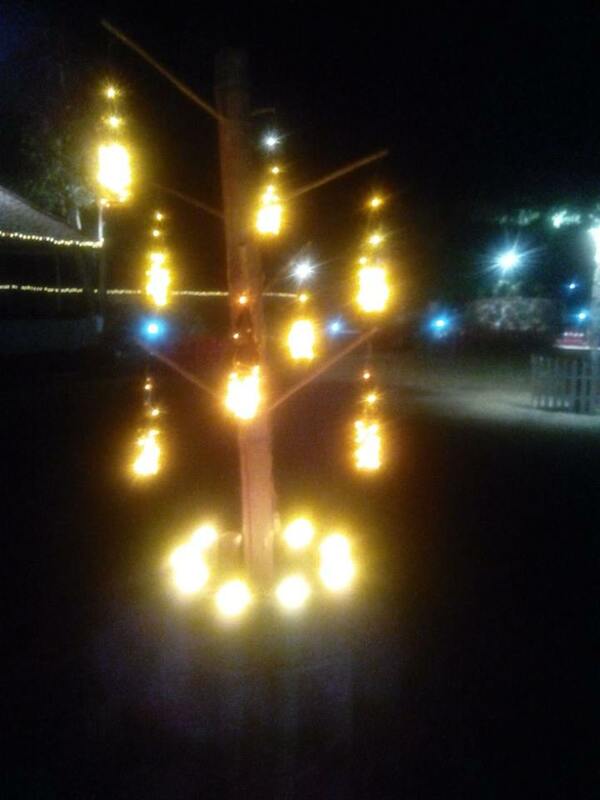 I got a few bottles spray painted in white and red and painted messages on them…a few accessories put together like pine cones and candles…. 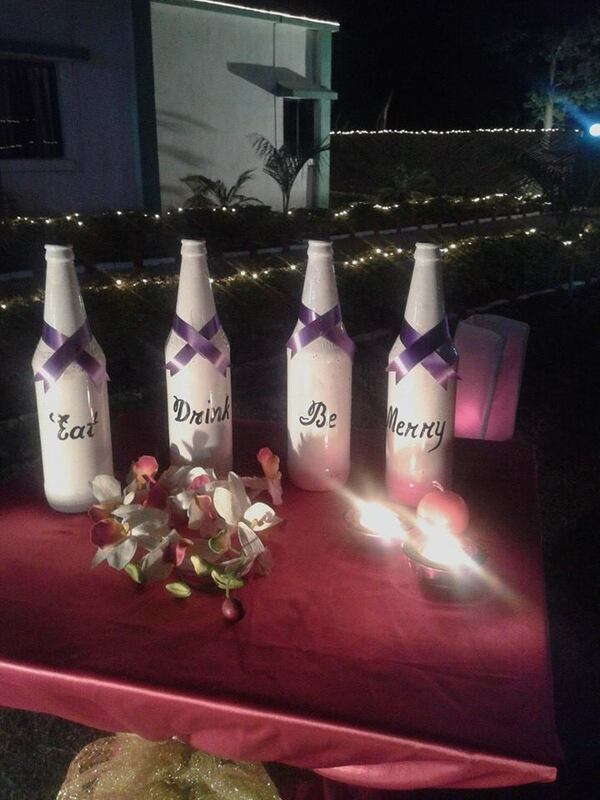 The bottles have been placed on huge tiles balanced on a log… just added the pink satin and golden net bow to jazz up things…The bottles in front have been cut from the bottom and small tealights placed inside. 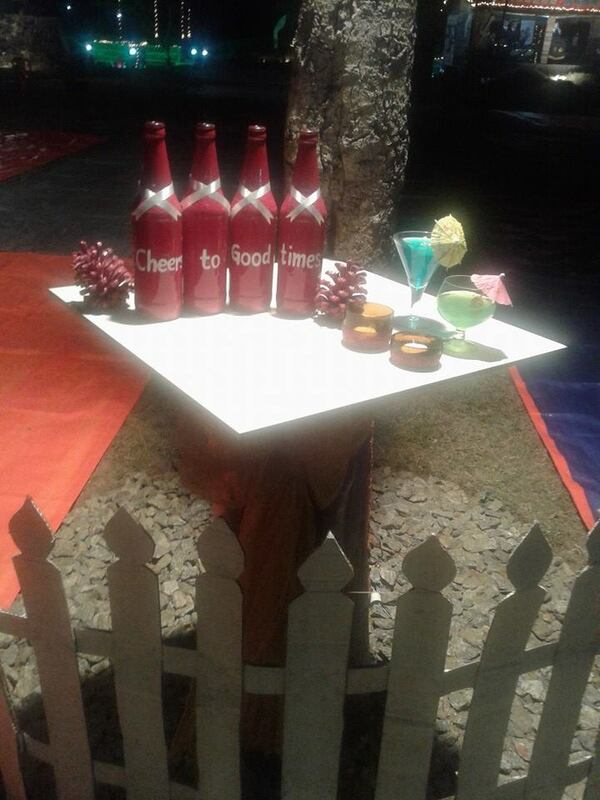 The fence in front is made of cartons and white chartpaper…recycling is fun…isn’t it? 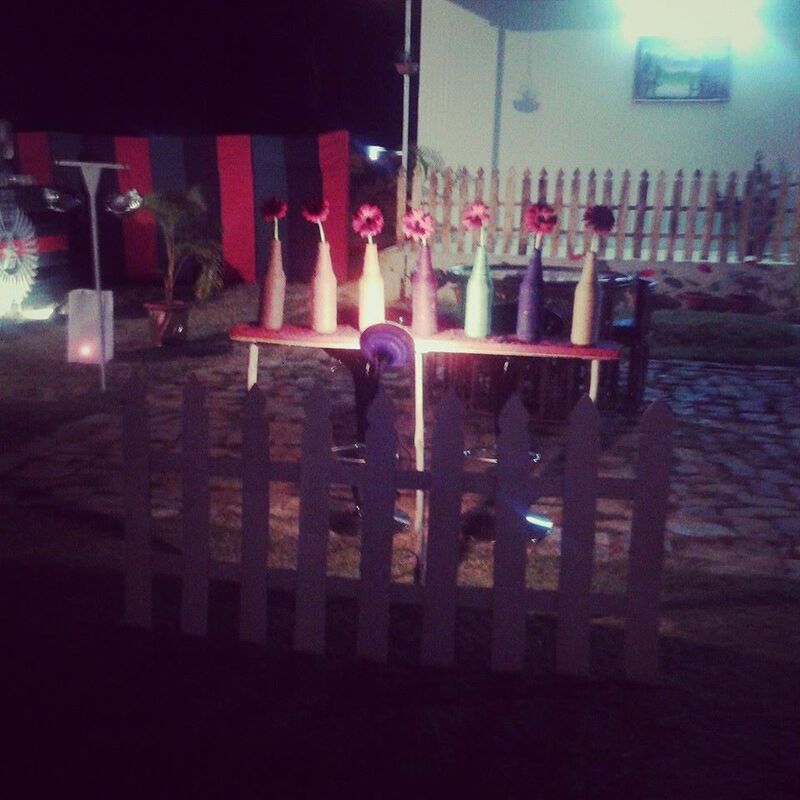 I’ve been missing in action for quit some time now…I hope I’ll be able to make up for it. 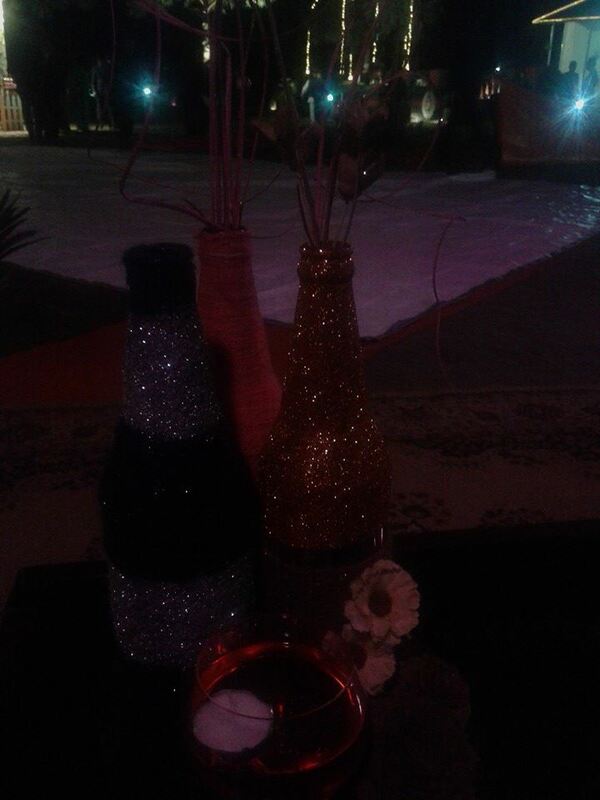 Linking this to Colours Dekor.